Weekly readings from the Torah, Prophets and Gospels, with commentary, summaries and audio service. 4 Moses said to all the congregation of the people of Israel, “This is the thing that the LORD has commanded. 5 Take from among you a contribution to the LORD. Whoever is of a generous heart, let him bring the LORD's contribution: gold, silver, and bronze; 6 blue and purple and scarlet yarns and fine twined linen; goats' hair, 7 tanned rams' skins, and goatskins; acacia wood, 8 oil for the light, spices for the anointing oil and for the fragrant incense, 9 and onyx stones and stones for setting, for the ephod and for the breastpiece. 20 Then all the congregation of the people of Israel departed from the presence of Moses. 21 And they came, everyone whose heart stirred him, and everyone whose spirit moved him, and brought the LORD's contribution to be used for the tent of meeting, and for all its service, and for the holy garments. 22 So they came, both men and women. All who were of a willing heart brought brooches and earrings and signet rings and armlets, all sorts of gold objects, every man dedicating an offering of gold to the LORD. 23 And every one who possessed blue or purple or scarlet yarns or fine linen or goats' hair or tanned rams' skins or goatskins brought them. 24 Everyone who could make a contribution of silver or bronze brought it as the LORD's contribution. And every one who possessed acacia wood of any use in the work brought it. 25 And every skillful woman spun with her hands, and they all brought what they had spun in blue and purple and scarlet yarns and fine twined linen. 26 All the women whose hearts stirred them to use their skill spun the goats' hair. 27 And the leaders brought onyx stones and stones to be set, for the ephod and for the breastpiece, 28 and spices and oil for the light, and for the anointing oil, and for the fragrant incense. 29 All the men and women, the people of Israel, whose heart moved them to bring anything for the work that the LORD had commanded by Moses to be done brought it as a freewill offering to the LORD. 30 Then Moses said to the people of Israel, “See, the LORD has called by name Bezalel the son of Uri, son of Hur, of the tribe of Judah; 31 and he has filled him with the Spirit of God, with skill, with intelligence, with knowledge, and with all craftsmanship, 32 to devise artistic designs, to work in gold and silver and bronze, 33 in cutting stones for setting, and in carving wood, for work in every skilled craft. 34 And he has inspired him to teach, both him and Oholiab the son of Ahisamach of the tribe of Dan. 35 He has filled them with skill to do every sort of work done by an engraver or by a designer or by an embroiderer in blue and purple and scarlet yarns and fine twined linen, or by a weaver—by any sort of workman or skilled designer. 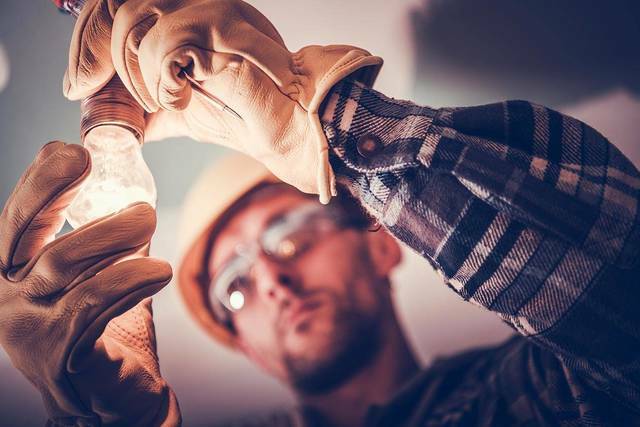 2 And Moses called Bezalel and Oholiab and every craftsman in whose mind the LORD had put skill, everyone whose heart stirred him up to come to do the work. 3 And they received from Moses all the contribution that the people of Israel had brought for doing the work on the sanctuary. They still kept bringing him freewill offerings every morning, 4 so that all the craftsmen who were doing every sort of task on the sanctuary came, each from the task that he was doing, 5 and said to Moses, “The people bring much more than enough for doing the work that the LORD has commanded us to do.” 6 So Moses gave command, and word was proclaimed throughout the camp, “Let no man or woman do anything more for the contribution for the sanctuary.” So the people were restrained from bringing, 7 for the material they had was sufficient to do all the work, and more. 8 And all the craftsmen among the workmen made the tabernacle with ten curtains. They were made of fine twined linen and blue and purple and scarlet yarns, with cherubim skillfully worked. 9 The length of each curtain was twenty-eight cubits, and the breadth of each curtain four cubits. All the curtains were the same size. 10 He coupled five curtains to one another, and the other five curtains he coupled to one another. 11 He made loops of blue on the edge of the outermost curtain of the first set. Likewise he made them on the edge of the outermost curtain of the second set. 12 He made fifty loops on the one curtain, and he made fifty loops on the edge of the curtain that was in the second set. The loops were opposite one another. 13 And he made fifty clasps of gold, and coupled the curtains one to the other with clasps. So the tabernacle was a single whole. 20 Then he made the upright frames for the tabernacle of acacia wood. 21 Ten cubits was the length of a frame, and a cubit and a half the breadth of each frame. 22 Each frame had two tenons for fitting together. He did this for all the frames of the tabernacle. 23 The frames for the tabernacle he made thus: twenty frames for the south side. 24 And he made forty bases of silver under the twenty frames, two bases under one frame for its two tenons, and two bases under the next frame for its two tenons. 25 For the second side of the tabernacle, on the north side, he made twenty frames 26 and their forty bases of silver, two bases under one frame and two bases under the next frame. 27 For the rear of the tabernacle westward he made six frames. 28 He made two frames for corners of the tabernacle in the rear. 29 And they were separate beneath but joined at the top, at the first ring. He made two of them this way for the two corners. 30 There were eight frames with their bases of silver: sixteen bases, under every frame two bases. 35 He made the veil of blue and purple and scarlet yarns and fine twined linen; with cherubim skillfully worked into it he made it. 36 And for it he made four pillars of acacia and overlaid them with gold. Their hooks were of gold, and he cast for them four bases of silver. 37 He also made a screen for the entrance of the tent, of blue and purple and scarlet yarns and fine twined linen, embroidered with needlework, 38 and its five pillars with their hooks. He overlaid their capitals, and their fillets were of gold, but their five bases were of bronze. 37:1 Bezalel made the ark of acacia wood. Two cubits and a half was its length, a cubit and a half its breadth, and a cubit and a half its height. 2 And he overlaid it with pure gold inside and outside, and made a molding of gold around it. 3 And he cast for it four rings of gold for its four feet, two rings on its one side and two rings on its other side. 4 And he made poles of acacia wood and overlaid them with gold 5 and put the poles into the rings on the sides of the ark to carry the ark. 6 And he made a mercy seat of pure gold. Two cubits and a half was its length, and a cubit and a half its breadth. 7 And he made two cherubim of gold. He made them of hammered work on the two ends of the mercy seat, 8 one cherub on the one end, and one cherub on the other end. Of one piece with the mercy seat he made the cherubim on its two ends. 9 The cherubim spread out their wings above, overshadowing the mercy seat with their wings, with their faces one to another; toward the mercy seat were the faces of the cherubim. 10 He also made the table of acacia wood. Two cubits was its length, a cubit its breadth, and a cubit and a half its height. 11 And he overlaid it with pure gold, and made a molding of gold around it. 12 And he made a rim around it a handbreadth wide, and made a molding of gold around the rim. 13 He cast for it four rings of gold and fastened the rings to the four corners at its four legs. 14 Close to the frame were the rings, as holders for the poles to carry the table. 15 He made the poles of acacia wood to carry the table, and overlaid them with gold. 16 And he made the vessels of pure gold that were to be on the table, its plates and dishes for incense, and its bowls and flagons with which to pour drink offerings. 17 He also made the lampstand of pure gold. He made the lampstand of hammered work. Its base, its stem, its cups, its calyxes, and its flowers were of one piece with it. 18 And there were six branches going out of its sides, three branches of the lampstand out of one side of it and three branches of the lampstand out of the other side of it; 19 three cups made like almond blossoms, each with calyx and flower, on one branch, and three cups made like almond blossoms, each with calyx and flower, on the other branch—so for the six branches going out of the lampstand. 20 And on the lampstand itself were four cups made like almond blossoms, with their calyxes and flowers, 21 and a calyx of one piece with it under each pair of the six branches going out of it. 22 Their calyxes and their branches were of one piece with it. The whole of it was a single piece of hammered work of pure gold. 23 And he made its seven lamps and its tongs and its trays of pure gold. 24 He made it and all its utensils out of a talent of pure gold. 25 He made the altar of incense of acacia wood. Its length was a cubit, and its breadth was a cubit. It was square, and two cubits was its height. Its horns were of one piece with it. 26 He overlaid it with pure gold, its top and around its sides and its horns. And he made a molding of gold around it, 27 and made two rings of gold on it under its molding, on two opposite sides of it, as holders for the poles with which to carry it. 28 And he made the poles of acacia wood and overlaid them with gold. 29 He made the holy anointing oil also, and the pure fragrant incense, blended as by the perfumer. 38:1 He made the altar of burnt offering of acacia wood. Five cubits was its length, and five cubits its breadth. It was square, and three cubits was its height. 2 He made horns for it on its four corners. Its horns were of one piece with it, and he overlaid it with bronze. 3 And he made all the utensils of the altar, the pots, the shovels, the basins, the forks, and the fire pans. He made all its utensils of bronze. 4 And he made for the altar a grating, a network of bronze, under its ledge, extending halfway down. 5 He cast four rings on the four corners of the bronze grating as holders for the poles. 6 He made the poles of acacia wood and overlaid them with bronze. 7 And he put the poles through the rings on the sides of the altar to carry it with them. He made it hollow, with boards. 8 He made the basin of bronze and its stand of bronze, from the mirrors of the ministering women who ministered in the entrance of the tent of meeting. 9 And he made the court. For the south side the hangings of the court were of fine twined linen, a hundred cubits; 10 their twenty pillars and their twenty bases were of bronze, but the hooks of the pillars and their fillets were of silver. 11 And for the north side there were hangings of a hundred cubits; their twenty pillars and their twenty bases were of bronze, but the hooks of the pillars and their fillets were of silver. 12 And for the west side were hangings of fifty cubits, their ten pillars, and their ten bases; the hooks of the pillars and their fillets were of silver. 13 And for the front to the east, fifty cubits. 14 The hangings for one side of the gate were fifteen cubits, with their three pillars and three bases. 15 And so for the other side. On both sides of the gate of the court were hangings of fifteen cubits, with their three pillars and their three bases. 16 All the hangings around the court were of fine twined linen. 17 And the bases for the pillars were of bronze, but the hooks of the pillars and their fillets were of silver. The overlaying of their capitals was also of silver, and all the pillars of the court were filleted with silver. 18 And the screen for the gate of the court was embroidered with needlework in blue and purple and scarlet yarns and fine twined linen. It was twenty cubits long and five cubits high in its breadth, corresponding to the hangings of the court. 19 And their pillars were four in number. Their four bases were of bronze, their hooks of silver, and the overlaying of their capitals and their fillets of silver. 20 And all the pegs for the tabernacle and for the court all around were of bronze. 40 Hiram also made the pots, the shovels, and the basins. So Hiram finished all the work that he did for King Solomon on the house of the LORD: 41 the two pillars, the two bowls of the capitals that were on the tops of the pillars, and the two latticeworks to cover the two bowls of the capitals that were on the tops of the pillars; 42 and the four hundred pomegranates for the two latticeworks, two rows of pomegranates for each latticework, to cover the two bowls of the capitals that were on the pillars; 43 the ten stands, and the ten basins on the stands; 44 and the one sea, and the twelve oxen underneath the sea. 45 Now the pots, the shovels, and the basins, all these vessels in the house of the LORD, which Hiram made for King Solomon, were of burnished bronze. 46 In the plain of the Jordan the king cast them, in the clay ground between Succoth and Zarethan. 47 And Solomon left all the vessels unweighed, because there were so many of them; the weight of the bronze was not ascertained. 48 So Solomon made all the vessels that were in the house of the LORD: the golden altar, the golden table for the bread of the Presence, 49 the lampstands of pure gold, five on the south side and five on the north, before the inner sanctuary; the flowers, the lamps, and the tongs, of gold; 50 the cups, snuffers, basins, dishes for incense, and fire pans, of pure gold; and the sockets of gold, for the doors of the innermost part of the house, the Most Holy Place, and for the doors of the nave of the temple. 9 He went on from there and entered their synagogue. 10 And a man was there with a withered hand. And they asked him, “Is it lawful to heal on the Sabbath?”—so that they might accuse him. 11 He said to them, “Which one of you who has a sheep, if it falls into a pit on the Sabbath, will not take hold of it and lift it out? 12 Of how much more value is a man than a sheep! So it is lawful to do good on the Sabbath.” 13 Then he said to the man, “Stretch out your hand.” And the man stretched it out, and it was restored, healthy like the other. To open the Scripture text and audio panel, click on any of the three horizontal bars showing the Scripture reference. To start listening to the text, click the play button on the audio player panel at the bottom of the page. While you scroll up and down to follow the reading of the text, the audio panel will stick to the bottom of the page. To close the current reading and audio, click on the horizontal bar again. The reading service is provided through the ESV services and is subject to their terms and conditions. If you experience any interruption in the service, please try again later, it is beyond the control of First Fruits of Zion. Note: The regular readings above are often interrupted with special readings on Jewish holidays, special Sabbaths, and Rosh Chodesh. Refer to the annual Torah Portion schedule for these special portions. The twenty-second reading from the Torah and the second-to-last reading from the book of Exodus is called Vayakhel (ויקהל), which means "and he assembled." The name comes from the first words of the first verse of the reading, which could be literally translated to read, "And Moses assembled all the congregation of the sons of Israel ..." (Exodus 35:1). This portion from the Torah describes how the assembly of Israel worked together to build the Tabernacle. In most years, synagogues read Vayakhel together with the following portion, Pekudei. 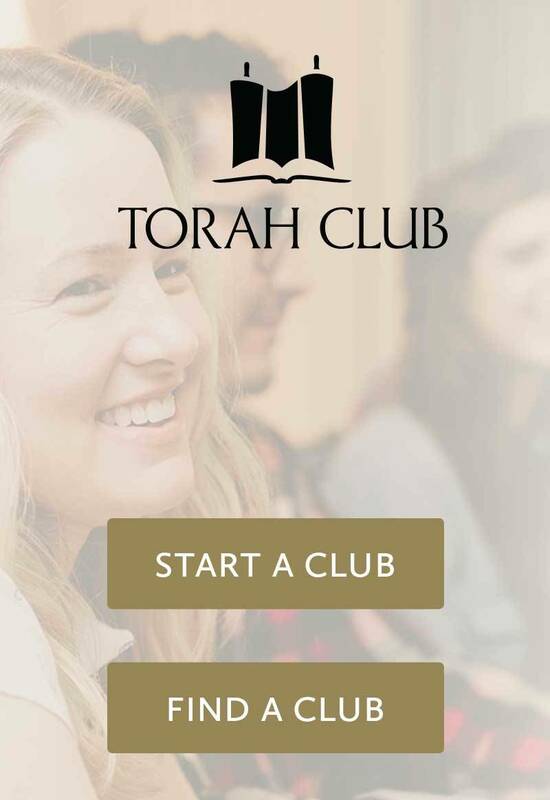 Torah Club is an interactive group Bible study that brings together disciples from diverse backgrounds to share the common ground of new discovery. We have more than three hundred clubs forming around the world. Find a Torah Club in your area. If there is none, prayerfully consider joining our global mission and start a club in your area—there are others like you who want to be a part of Torah Club. Get inspirational teachings on the Torah Portions delivered to your inbox free every week. Insightful commentary from Genesis to Deuteronomy!